Home AnalyticsBusiness Intelligence	What is Tableau? 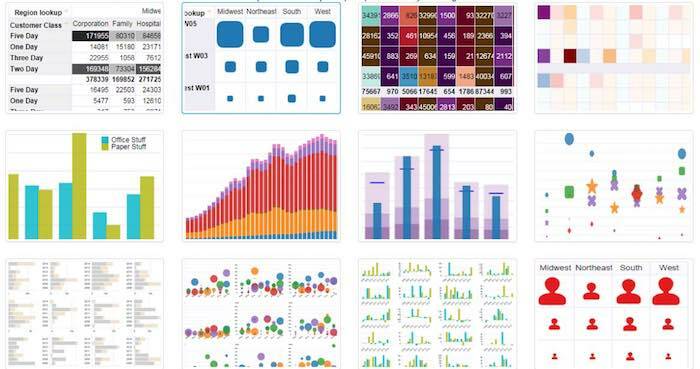 Tableau is a visual analytics platform. 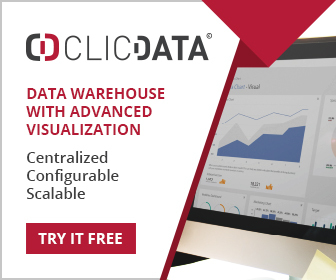 Most of us will interpret this to mean that Tableau produces various visual artifacts to display data – charts, maps, dashboards, tables and so on. Tableau however means ‘visual analytics’ in a different way, and specifically it means that the visualization of data is achieved using a wholly visual interface. So no coding at all – and Tableau does not come with any form of scripting language. As a supplier of technology, Tableau is somewhat uniquely focused on creating this exclusively visual interface. It also attempts to automate anything that can be automated. For example it knows when enough points are being displayed to create a meaningful forecast of time series data. If there are not enough points, it will drop down to a lower granularity (months to weeks for example) to create the forecast. In effect Tableau is building a platform that is smart enough to assist the user, who might not be wholly familiar with the mechanics of various analysis techniques. This drive for automation can be seen in many of Tableau’s features. As data is ingested into Tableau so an attempt is made to identify meaningful keys, and an inbuilt ‘dictionary’ and ‘thesaurus’ mean that misspelled entities such as city names can be corrected. When appropriate Tableau will also display confidence intervals, p-values and r-squared for users who want to see statistical validity. And just to drive the point home Tableau will be adding some new forms of advanced analytics in the shape of clustering and outlier detection. Again, these capabilities will automate much of the donkey work that analysts typically have to do when utilizing these methods. Clustering for example will automatically work out the optimal number of clusters – something that is typically done manually. This approach to visual analytics has proven to be very successful for Tableau. It allows a broad population of users to see their data in meaningful ways without recourse to coding. Is this unique? Well, not entirely – the bulge in the middle of the histogram of user sophistication is satisfied by an increasing number of platforms (Spotfire, Qlik and Power BI for example). Tableau is unique however in its single-minded determination to make the whole analytical interface visually driven. If we drop down to less sophisticated needs, a large number of platforms have visually driven interfaces. And if we climb to very advanced analytical needs, then there isn’t a purely visual interface in the world that handles ensemble methods or neural networks for example – let alone the dozens of other methods that need code and/or fine tuning of parameters. So here is the trade-off. For many users Tableau will make many difficult things easy – or easier. If your needs simply revolve around a few pie charts, histograms and the likes, then Tableau will be overkill. However if you are building predictive models using advanced techniques, then Tableau probably isn’t the best platform, although it does provide an interface to the R language. In version 9, Tableau introduced Level-of-Detail (LOD) expressions to facilitate complex calculations and data manipulation. Is this the slippery slope to some form of language? Well, I hope so, although Tableau would probably resist any such suggestion. There is a parallel here. Fourth Generation Languages (4GL) were introduced in the late eighties in an attempt to replace lower level languages (COBOL, Fortran). They offered pre-built syntax for commonly needed functionality – in the belief that people build systems in the same way builders used pre-fabricated components. It was ultimately a dismal failure, and soon after this a new generation of languages became commonly used whose syntax was at a much lower level (Java, C++ etc). In my opinion Tableau should introduce some form of scripting language for those who need it, and maybe the LOD expressions (which might be called simple scripting anyway) are a first move. As users want and demand more, so Tableau will have to move with them, and some things just cannot be done effectively with a purely visual interface. Having said this, Tableau has pioneered visual analytics, and who knows what new tricks they might have up their sleeve. See the full Tableau Review here.